Consisting of Samo Gonzalez, Frankie Seas, Gil Cervantes, Christian Jimenez, “The Shark” Santillanes and DJ Zero, Troker hail from Guadalajara, Mexico. 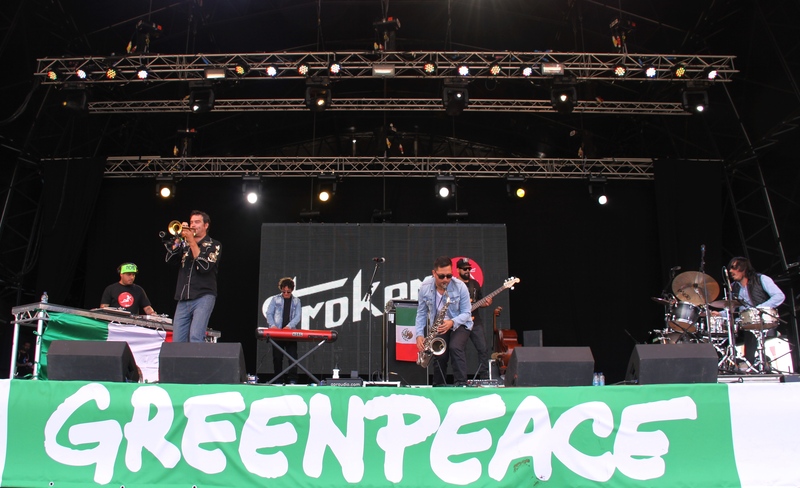 Having performed at everywhere from Jazz in the Park in Colombia to the Kennedy Centre in Washington, Troker are worthy of their worldwide attention and place at Glastonbury. They began with roots in rock music, but found an answer to their expressive and creative necessities through jazz. 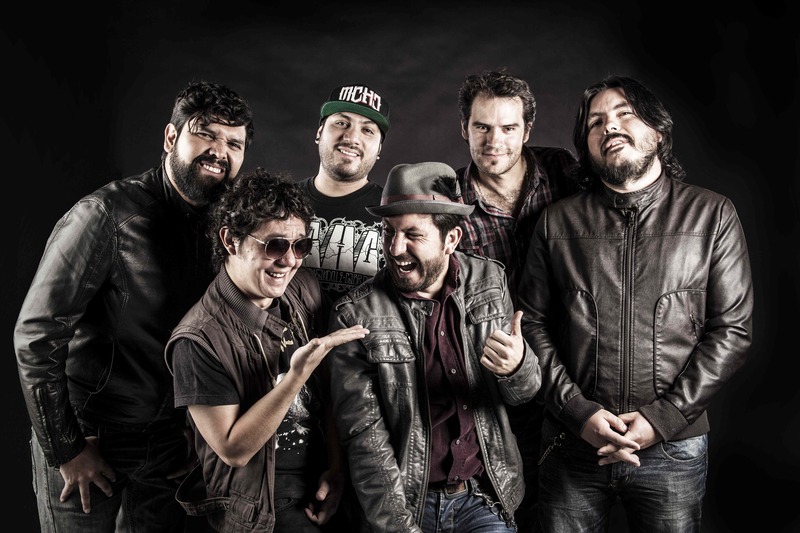 Troker combine funk, jazz, rock and even cumbia to produce an unbridled and continuous surge of energy on stage. Unafraid to experiment, Troker has demonstrated that jazz music can be part of the mainstream can be part of the mainstream. We say: Leave your stereotypes at the door and prepare to be amazed. 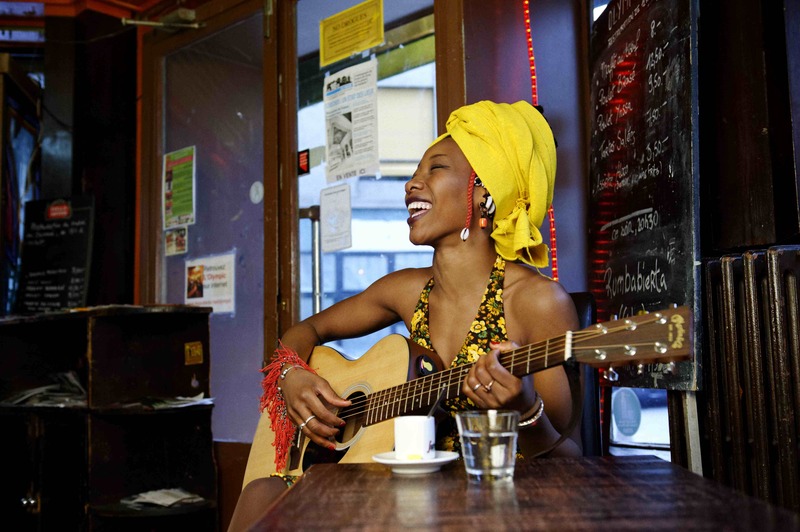 Fatoumata Diawara is a Malian-born musician currently living in France, moving there originally to pursue acting, appearing in series of French films in the late 90s and early 2000s. She later took up the guitar and began composing her own material, writing songs that blend Wassalou traditions of Southern Mali with international influences. Diawara’s debut album ‘Fatou’ was released in September 2011. On the album Diawara showcases her distinctive melodic voice, singing her own songs in her native Bambara tongue with themes as serious as personal betrayal, the effect of wars in Africa and the plight of illegal African migrants in Europe. In addition to accompanying her own voice on simple acoustic guitar, traditional western rock guitars, bass and drums are heard alongside West African instruments like the kori, calabash and ngoni. The result gives the album a distinctive worldly sound. The magic and mayhem of vintage Bollywood collides with Tarantino-esque surf, wild disco, flamboyant theatrics, swirls of kaleidoscopic colour, outrageous costumes and utterly irresistible dance moves. 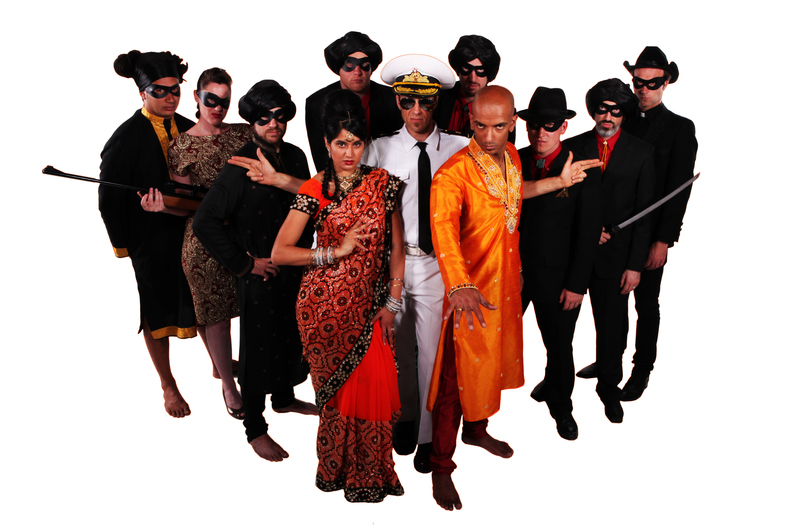 Surely, The Bombay Royale have to be one of the most intriguing bands to emerge from the Melbourne music scene. Brandishing a rare new sound that is exotic, teasing, cinematic and utterly exhilarating, the Royale’s mash-up of intoxicating rhythms, seductive lyrics (in Hindi, Bengali and English) and fantastic – bordering on surreal – performances are always a wonder to behold. Their debut album ‘You Me Bullets Love’ was released in May 2012 and has won wide acclaim, including a place in iTunes Best of 2012 and number one on the iTunes World Music charts. We say: Time to pretend you’re in a Quentin Tarrantino film; lose your inhibitions and just dance. Badbadnotgood, or BBNG to their friends, are a jazz outfit who specialise in unusual covers, of everyone from Joy Division and Odd Future. Recognition came fast through YouTube because of their quasi-viral video of a smoothed out jazz medley of ‘Odd Future’ and ‘Tyler’, and has made BBNG somewhat of a cult hit. A three-piece group formed of Matthew Tavares, Alexander Sowinski, and Chester Hansen, they are all under the age of 23 and despite the fact their drummer always wears a pig mask, Sputnik music describes BBNG as having an “almost post-modern, Sinatra-like swagger”. 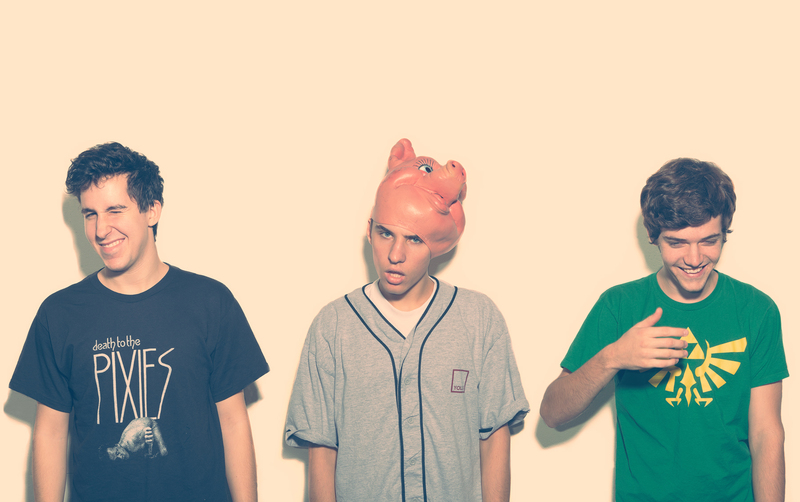 BadBadNotGood released their second album, ‘BBNG2’, in April 2012. The album has original material as well as covers of songs by Kanye West, My Bloody Valentine, James Blake and Feist. They say: “A welcome reinterpretation of modern jazz without the pretence of snotty wine parties and thick-rimmed hipster dinosaurs.” Sputnik Music. We say: Jazz covers of hip hop artists is vintage West Holts. Founded in 1988 by Alex Paterson and KLF memberJimmy Cauty, The Orb enjoyed critical and commercial success in the 1990s with the albums ‘The Orb’s Adventures Beyond the Ultraworld’ and ‘U.F.Orb’, the latter of which topped the British album charts in 1992. This success led to its infamous appearance on Top of the Pops, where the group showcased its quirky style by playing chess while the group’s single ‘Blue Room’ ran in the background. While the Orb’s line up has changed over the years, Alex Paterson has remained and he prides the Orb on manipulating samples on its albums and during its concerts. As such, the Orb have been a prolific remixing team working with Depeche Mode, Lisa Stansfield and Front 242. At West Holts, the Orb are joined by Kakatsitsi, master drummers from the Ga tribe of Southern Ghana. Kakatsitsi have established themselves as the leading African traditional group in the UK and will join the Orb for a debut live performance. We Say: Kakatsitsi is the Ga word for “self-energisation”. Add in the Orb too and it might just overload your senses. 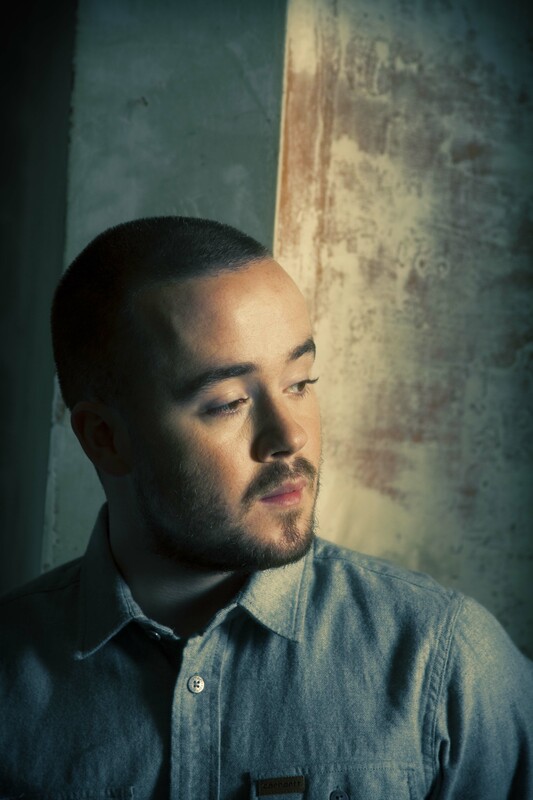 Michael Stafford, the Anglo-Irish singer songwriter better known as Maverick Sabre has a unique and soulful voice. On his 2012 debut album ‘Lonely are the Brave’, Stafford has been told his singing voice sounds almost Jamaican. He says it’s down to his Irish accent but either way, tracks like “I Need” and “Cold Game” definitely have a reggae flavour. At a recent gig at the Roundhouse in Camden a reviewer from the Independent described Stafford as “part of a new wave of artists who are on a much more equal footing with their fan base… he seems like a genuinely decent bloke”. Maverick Sabre has already collaborated with Professor Green, drum and bass duo Chas & Status, toured with The Script and performed on the BBC’s Later With Jools Holland. We say: a fantastic blend of hip hop, soul and reggae delivered by a unique voice. Founded by DJ Diplo and Switch, Major Lazer delivered vibrant, infectious and hedonistic sounds of contemporary reggae and dancehall with their 2009 debut album ‘Guns Don’t Kill People, Lazers Do’. Since DJ Switch’s departure, Diplo has forged ahead at the helm of Major Lazer to create full-blown performance spectacles which have become must-see shows on the summer festival circuit. As well as writing albums and performing, Major Lazer also partly produced Rita Ora’s album ‘Ora’ and No Doubt’s sixth album ‘Push and Shove’. 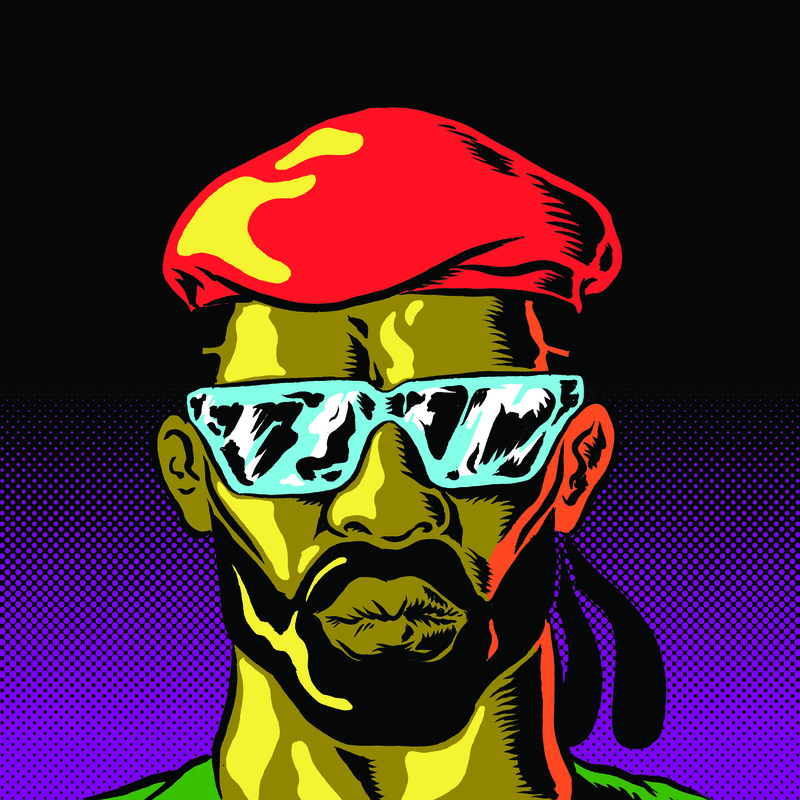 Major Lazer’s latest Album realised in June 2013, ‘Free the Universe’ delivers similarly explosive sounds. Expect that DJ Diplo will turn the West Holts Stage into a joyful, fun and energetic house party. We say: One of the biggest dance acts on the planet, let’s hope you can keep up. 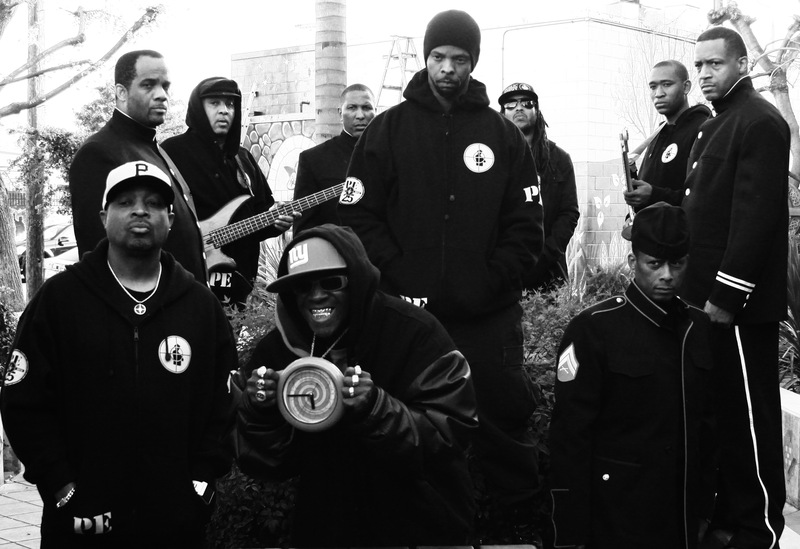 Formed in Long Island, New York in 1982, Public Enemy are celebrating their 25th anniversary. In 2004, Rolling Stone magazine ranked them 44th in their list of Immortals: 100 Greatest Artists of All Time and in 2013 they were inducted into the Rock and Roll Hall of Fame. Public Enemy’s socially and culturally conscious rhymes made them pioneers of hip-hop. In the late 80s and 90s they enjoyed international success with their first four albums going gold or platinum with massive songs like ‘Fight the Power’ and “Don’t Believe the Hype’. Their influence on music is undeniable and 20 years later they’re still bringing the hits. In 2012 they scored a top five hit in the UK with ‘Harder Than You Think’. We say: Politically charged lyrics delivered by living legends. Public Enemy are hip-hop royalty. At the beginning of June, Mexican groovers Troker treated their local fans to a Glastonbury preview, trying out their West Holts set on the packed house at Bar Imperial in Mexico City. This was the third airing, the first two performances having launched the new set in Oaxa’s Café Central a week earlier. The whole thing went down a storm. “These guys are amazing – they’re chaotic, noisy and wonderful,” says music journalist Alvaro Jiménez, who was at an Oaxa gig and then caught them again in Mexico City. The last of what they proudly bill their ‘Pre-Glastonbury’ gigs took place on June 21st, in Gaudalajara’s Teatro Estudio Cavaret, and had the home crowd abuzz with excitement. Since bass player Samo González announced his six piece band were booked for Glastonbury, there’s been a lot of excitement in Mexico about Troker, with national press interest and a whirl of Facebook activity from fans intensifying as their departure date for Worthy Farm draws near. Stand by to see what all the excitement’s about on Saturday, when they play our stage. 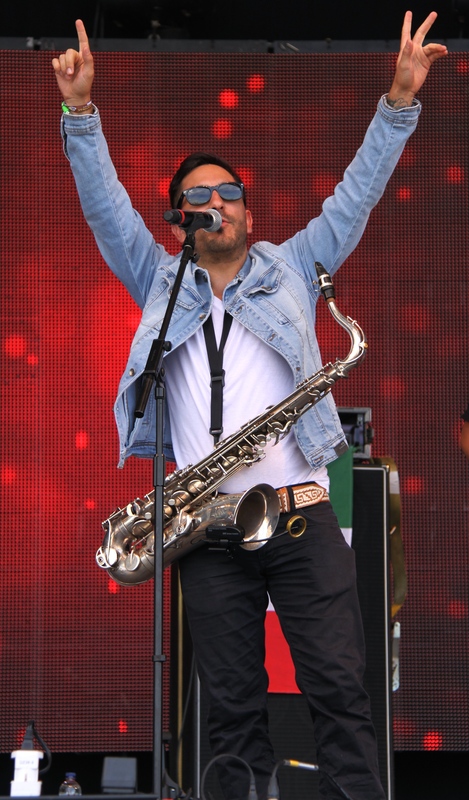 “We’re the sixth Mexican band to play Glastonbury, but the first tapatía (Guadalajara) band ever,” says saxophonist Arturo ‘El Tiburón’ Santillanes. “We’re fundamentally an improvisation project, but we’re rehearsing this set to get everything as tight as possible. Troker is Samo González on bass, Frankie Mares on drums and percussion, Gil Cervantes on trumpet, Christian Jiménez on keyboards and guitar, Arturo El Tiburón (the shark) Santilles on sax and DJ Zero on decks. They call themselves ‘rude jazz funkers’ and are indeed a glorious mix up, but they come from Mexico, so aren’t they a Mex or Latin band? The answer has to be yes and no. Yes, in the traditional Mano Negra/Manu Chao sense, because Troker are activists, involved in socio-educational programmes and community schemes. Central and South American groups often have a social conscience. They are, as we know, more likely to be concerned with not just singing about human rights than musos on ‘la escena anglosajona’, as Hispanics call the English language music scene. No, not Mexican in that the six Trokeros have nothing to do with Narco-corrido music, thus intelligently prolonging their lives. Yes, in that when The Shark and Cervantes step out on sax and trumpet, what we have is Mariachi. Wild Mariachi, weaving in and out of bass beats, hip-hop and free form jazz runs. No big hats or jingly trousers for these truckers, just jazzed Mariachi and Cumbia blasts, such as you may never have heard before. Troker’s groove is energy-charged jazz, moving through punk, hip-hop and psychedelia, all with a Mexican touch.